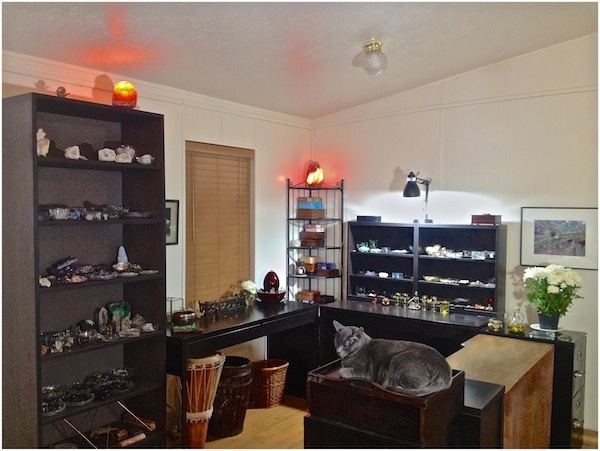 Welcome to my world of healing crystals and joyful stones! Do you feel vulnerable about your health? Do you want an experienced and compassionate healer who will make a personal investment of the heart for you? 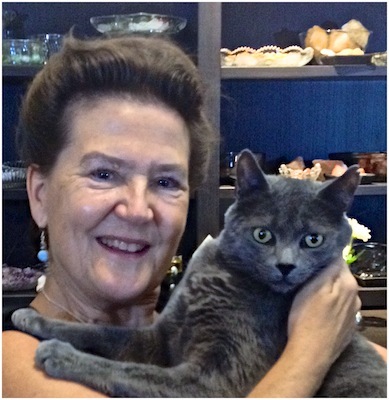 Crystal healing is a powerful tool for humans and for animal companions as well! �Holistic healing is what people turn to when they hear their doctor say, "There is nothing more we can do for you.” �Interdimensional Healing Light provides a gentle energetic solution for those who want a way to help themselves and their companions heal. �Crystal Therapy�is similar to acupuncture, but instead of needles, I use crystals to free stagnant or blocked energy pathways. �Crystals will balance and amplify energy to align your chakras, to clear your aura, and to assist with returning all of your bodies to a healthier and more balanced condition. �Just as you regularly address small problems that occur in your home using handyman tools, it is a good practice to clear and balance your physical and metaphysical bodies with periodic energy sessions. Animal companions: �Anxiety, eye issues, diarrhea, kidney issues, trust, lethargy, peace, love during transition. Energetic barrier:� Protection from negativity, stalking or intrusive energies. Environmental effect: �Space clearing of home and office. Financial�benefits:� Creating abundance and prosperity, removing feelings of lack, selling of real estate, manifesting a successful job interview. Mental support: �Anxiety, intuition, perseverance, creativity, concentration. 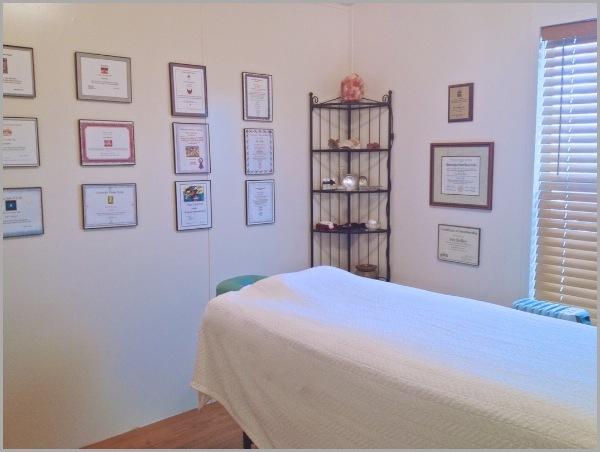 Physical�healing: �Clearing allergies, increasing vitality, improving quality of sleep, releasing of undesirable impulses, improving general well-being, balancing of Chakras. Spiritual�benefits:� Connection of heart and mind, spiritual evolvement, DNA activation, spiritual clarity, grounding, meditation, angelic blessings, reconnection to Source. 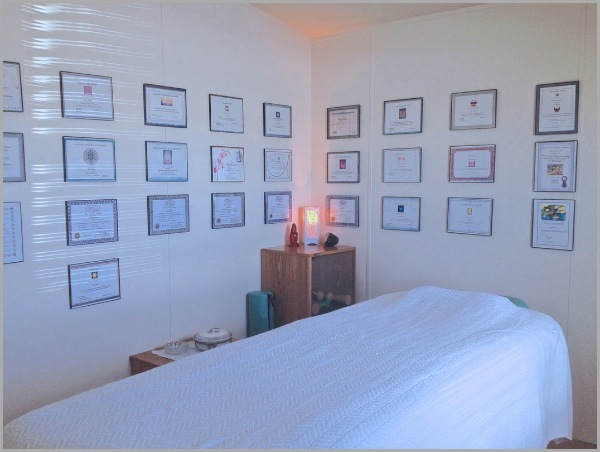 As�I have had the gift to channel healing energy since my early years, I have studied various forms of Reiki, Pranic Healing, Quantum Touch, Theta Healing, Breath of God, The Reconnection, and Crystal Therapy. �It is my belief that all of these healing modalities channel Divine energy from God. �How the healer is trained is what seems to vary. �Other factors are important as well: �The experience of the healer, various developed skills to channel energy, visualization skills, and the ability to focus intention with the goal of bringing healing energy to the recipient. �New energy is coming onto Earth. �Our DNA is changing all the time. �As we focus our intention upon raising our vibrational level, our bodies will adjust automatically to the Earth's changes. The Crystals picked me as a Guardian. �I have always been attracted to them. �As a child, I was drawn to piling rocks on my dresser and I have always enjoyed wearing them. �I believe that everything and everyone has consciousness. �Various rocks, minerals, gemstones, and crystals have healing power which is attested to by the fact that civilizations thousands of years old, on every continent, have used stones for healing. �I have studied various cultures and now have an even greater appreciation and reverence for the healing power of our gifts from the Earth. My recognition of this began during the 70's when I received a diagnosis of "incurable" from a vet about the cat I loved dearly. �I came home and decided to do "some healing" on my cat. �I had no training, only the intention that�I wanted to clear my beloved companion of this cancerous disease. �Two weeks later, the vet was astounded as the cancerous 'rodent ulcer' on Cotton's chin was gone. �It was a gradual, but natural, progression to spiritual psychology and, then, to spiritual healing. �Everyone has the ability to heal themselves and others. �It is my mission to empower others to connect with their Divine gifts as well as provide healing assistance. Can crystal healing help me even if I find it hard to believe in energy healing? Is there any evidence to support energetic healing? “Must I meditate in order for this healing to work?" In addition to meditation, listening to healing music, inhaling herbal aromas, moving purposefully and with gratitude, eating and drinking healthfully, relaxing, modifying your mood, and also your lifestyle, all have an impact on your self-healing abilities. �If you are interested in an easy meditation exercise, please see my resources page. During my interview �—�My Seven Chakras PodCast�—�Aditya Jaykumar�poses various questions which allow me to explain my truth about energy and crystal healing, and gives me the opportunity to present who �I am as a channel for Divine healing energies.